The joint venture between Reliance Capital and Japan's Nippon Life Insurance Company Ltd. will offer around 6.12 crore equity shares at Rs 247-252 apiece. Reliance Capital will offload shares worth Rs 283 crore while Singapore government's investment fund Temasek's arm V-Sciences Investments Pte Ltd. will sell Rs 642-crore stake. Nippon Life will make over two-three times its investment in five years. The Japanese insurer had invested in its Indian joint venture in three tranches-first in 2012 and then 2014 and 2015-at an average cost of Rs 115 per share. Reliance Nippon's assets under management stood at Rs 3,84,062 crore as of August 31, making it the third largest in the country. It has a pan-India network of 171 branches and 58,000 distributors, including banks, financial institutions, national distributors and independent financial advisers. The company manages 55 open-ended and 174 close-ended schemes. The company has invested 29 percent of its assets in the equity market. That gives it a bulk of its revenue, largely due to higher fees. Net worth stood at Rs 1,680 crore for the quarter ended June and it had a cash of Rs 265 crore. The company's revenue clocked a compounded annual growth rate of 21 percent and net profit rose at 15 percent in five years to March. Revenue and net profit for the quarter ended June stood at Rs 364 crore and Rs 88 crore, respectively. The company's expense ratio-operational expenses as a percentage of assets under management-has been 0.2 percent to 0.3 percent in the last five years. The company has also been paying dividend regularly. Reliance Nippon has no listed peers. It lags on most parameters when compared to 41 unlisted public and private active asset management companies. At the upper end of the price band, earnings per share, after issuing new shares, for financial year 2017 comes to Rs 6.6 and the price-earnings ratio stands at 38.3 times, according to BloombergQuint's calculations. 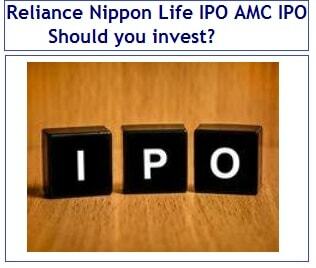 The stock is being offered to the public at a discount to the valuations at which Nippon Life acquired shares. The promoters will sell shares worth Rs 925 crore, bringing down their holding to 86 percent.